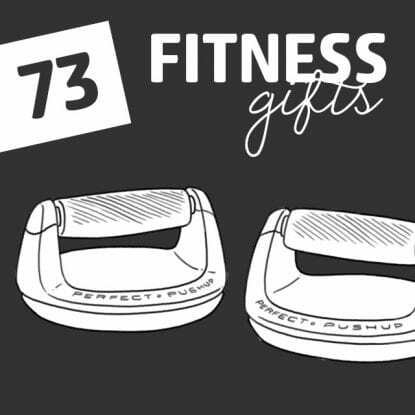 Whether you have a vegan friend or a gym bunny for a partner, take a look at these fabulous gifts designed for the health-obsessed. From gym gear to gluten-free subscription boxes, vitamin services, and even green beauty products, any one of these items would be perfect to give at Christmas, just in time for those resolutions. Track your steps, sleep, calories burned, and steps taken with the Misfit Ray fitness and sleep tracker. This handy watch makes a great Christmas gift for the health-conscious, and is also swim-proof, reminds you of movement goals, vibrates for text notification alerts, and even connects to your phone so you can answer calls on the go. Do you have a passion for green beauty? The Detox Box does, too. With this unique subscription box you receive tried-and-tested products from the selected brand of the month worth up to a whopping $90. Expect conditioning hair products, face masks, cleansers, spot treatments, body oils and so much more. Tantalize your tastebuds with the Snack Box Subscription service. This service brings you organic and all-natural snacks every month – you can even opt in for the gluten-free box should that be what you’re looking for. For each box you buy, Snack Box also donates one or two meals to a food bank. Looking for a health device that you control, rather than it controlling you? Then you’re in the right place, Qardio brings you state of the art health monitoring devices that fit around the modern lifestyle. They offer the medical-grade ECG Qardiocore, Qardioarm – a smart blood pressure monitor, and Qaridobase 2 – a wireless smart scale. Keep all your stats right where you can see them with the Garmin Forerunner 235. This neat watch tracks your heart rate 24/7 on a larger screen than previous watches, perfect for those who are always up and active. It also tracks your laps and lap times, and gives you notifications from your phone, too. Hand-poured in the United States, you can rest assured you’re helping a local business when you purchase from Native Deodorant. These innovative deodorants are not tested on animals and are ALL sulfate, paraben, and aluminum free. Made with shea butter, oils, and other natural ingredients, these deodorants will do wonders for your skin. What could be better than having delicious snacks delivered straight to your door? Well, those snacks being healthy, of course! You can try out a whole range of goodies each month with the UrthBox Subscription Box. They offer vegan, gluten-free and other diet boxes, so you’re sure to find one to suit you. Bored of frumpy, outdated athletic wear? Then take a look at YogaClub, a service that provides you with brand name apparel athleisure outfits, hand selected to match you. All you have to do is answer the fun quiz questions and you then receive a box full of cute clothes at up to 50% off RRP. Find Your Trainer is a brilliant website that allows you to pick and choose a personal trainer that matches you, based on your body, your goals, lifestyle, and personality. What’s even better is that you can train anywhere, be it your home, outdoors, at the gym, or somewhere else, because they bring the equipment to you. With the wireless Jaybird RUN headphones, you are in control. They come with interchangeable tips and fins for a secure and comfortable fit – exactly what you need while exercising and running. Best of all, these headphones are also completely sweat-proof and waterproof so you can run til your heart’s content. Offering up tasty treats such as low-fat cookies, turkey jerky, cheese bites, coffee, pretzels and more, it’s safe to say the NatureBox is a subscription you do NOT want to miss. You can select the dietary boxes that apply to you, like vegan, paleo-friendly, or low in carbs to have the snacks suit your needs. You know what it’s like when you’re always on the go, it can be hard fitting in the amount of water you should be drinking – luckily, with Ulla, you’re reminded to sip. Simply attach Ulla to your bottle, and if you haven’t had a drink in a while it will blink to remind you. Increase your energy, eliminate bloating, and promote weight loss with just one daily Detox Organics shake. In every single serving are a whopping 25 health-boosting superfoods; spinach, kale, broccoli, coconut water, ginger root and more. Not only do these amazing shakes help eliminate toxins, but they taste great, too! Anyone from child to adult can benefit from weighted blanket therapy. These incredible weighted blankets give drug-free therapy for those who are looking for relief from stress, insomnia, and anxiety. The blankets work by activating deep pressure touch receptors, just like a loving hug would. Start your day off right with VitaCup, which brings you delicious vitamin infused coffees and teas. Inside of the pods you’ll find folic acid, antioxidants, B12, D3 and more. They have lots of different varieties to choose from too, like French Roast, Gourmet Breakfast Blend, and French Vanilla. See everything you need to know, right on your wrist with the Suunto Traverse Alpha watch. Made with a nylon strap and a rugged stainless steel bezel, this watch makes the perfect gift for any active man in your life. What’s more, with its automatic breadcrumb trail and GPS mapping, you’ll never be lost again. Jus by Julie offer 6 unique detox programmes, covering different amounts of days, so whether you’re looking for a 1 or 5 day cleanse, or meal replacement packs, they have what you need. They also offer lots of detoxing products, from blended juices to soups, probiotics, and even snacks. Meet the KardiaBand, an EKG replacement band for your Apple Watch. Just hold your thumb on the sensor and it gives you an EKG in 30 seconds, and from there it’ll track and store your recordings, as well as your weight, blood pressure, and medication. It even evaluates your activity, alerting you if something changes. With 3 speed settings the NextRoller aids mobility, flexibility and recovery. It works by applying pressure to muscles and joints, relieving pain and preparing you for weightlifting, yoga, running, or CrossFit. It’s also rechargeable and portable, so you can keep it at home or take it to the gym. For some sports, a wrist strap isn’t always the most practical, and that’s where the Polar H10 heart rate monitor strap comes in. This unique sensor fits around your chest, so there’s no chance of getting it caught, or of it getting in the way of your sport/activity. If you struggle finding recipes or motivating yourself to make healthy meals every day, then try the Sun Basket way. Sun Basket delivers recipes and ingredients straight to your door, saving you all the hassle of grocery shopping, plus most recipes take less than 30 minutes to make – perfect for today’s busy lifestyles. Feel supercharged, rejuvenated and ready to face whatever may come your way with the BluePrint juice cleanses. These cleanses suit everyone, whatever your tastes may be, and come in a variety of intensities and lengths, from one to three days. So if you’re ready to restart your digestive system, take a look. Take care of your health with these personalized daily vitamin packs. Simply answer a few questions about your goals and lifestyle, and from there they recommend the vitamins you can take (though you can add and remove whichever you like), which are delivered each month direct to your door. Study your body like never before with the Yunmai premium smart scale. The app syncs with others, so you can see how your performance changes your body. It offers 10 body measurements; BMI, bone mass, muscle, hydration, body fat and more, to help keep you at your best and on top form. Whether you’re already following or thinking about trying out the Keto lifestyle, then the Keto Box is for you. Subscribe, and each month you will receive 8-11 Keto snacks and goodies, and with free shipping, you really can’t refuse! They even have an online community where you can share tips and motivation with other ketogenic dieters. Scientists at Ritual have designed and created one smart capsule to give you what you need for your body. Inside the capsule are just 9 essential nutrients that women are simply not getting enough of, so instead of taking a handful of different tablets each day, instead you now just have one. Want super foods super fast? Then Daily Harvest is the subscription box for you. Weekly or monthly you can have your hand-selected smoothies, soups, and harvest bowls delivered to your home. Once delivered, all you have to do is simply mix them up whenever you’re feeling peckish and you’re good to go. Whether smoothie bowls are your thing or you’re looking to have more protein in your diet, Sub-Zero Superfoods are here to give you a helping hand. They deliver all of the ingredients to your door and you just blend them up whenever you need them – convenience at its finest (and tastiest). Keep your motivation afloat with the swim-proof UwaterK7 digital radio. This neat radio locks out moisture so you can listen to your tunes or keep up with the match scores while you take on your laps. It can also be used in the shower, sauna or the beach, clipping onto your clothing for easy listening. Treat yourself, or someone you love, to the FabFitFun box, and 4 times a year you (or they) will be treated to a huge box full of fun items. From face masks to necklaces, and even drinks bottles, there’s a little bit of everything included – make your own selection or leave it to them to decide. Give someone the Christmas gift of an iron-strong core with the STEALTH Core Trainer Professional. This gaming trainer makes working out a blast rather than a chore they’d prefer to avoid, and lets them become a pro at the games. They can even see where they hit on the global core score leaderboard. It’s not just your body that’s important and needs looking after, it’s your brain too; after all, it runs everything! TruBrain offers up packs of fruity-tasting brain-food drinks or capsules designed by neuroscientists to help you with your memory, performance, and focus, ensuring you are ready to grab life by the handles and rock it. 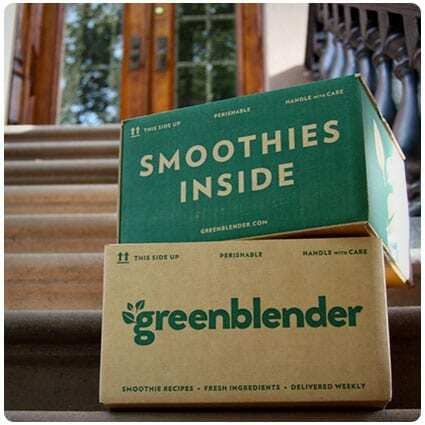 GreenBlender sends you weekly boxes jam-packed with organic ingredients, selected for the 5 recipes hand-picked by you for your box. Each recipe gives you two 12oz servings, and the ingredients come in a cool insulated box, ready for you to store and blend into tasty smoothies whenever you like. HUM works by asking you to take an online questionnaire, and then tailoring a suitable vitamin and supplement profile to suit you. As well as your personal profile, you also get a free nutritionist report that gives you information and nutrient recommendations, and from there you can purchase what has been recommended for you personally. Log your workouts with this neat DIY log book. Inside, you can create sections to log exercises, machines used, and reps and sets, as well as daily meals and snacks. Of course, you can completely tailor the logs to you and your specific workouts, to help you work toward your goals. Sarah Titus has created this medical binder in a bid to help become more organized and focus on our health. In this DIY she includes free printables, so you just print them out, put them in your binder, and you’re ready to start changing your life and transforming your body. If you or somebody you know calls the gym their second home, then take a look at this neat free printable workout log. The log template focuses on strength and cardio training, although as it’s just a template, you can easily change it to a gym workout better suited to you. The perfect list to find the ideal gift for someone who suffers with social anxiety. What better way to show Mom that you love her than to get her a great gift for Christmas? We all know Moms do so much for everyone during the holidays. To help keep that stress under control, we have compiled a list of the most relaxing gifts that will keep her glowing and giver her back that holiday cheer.